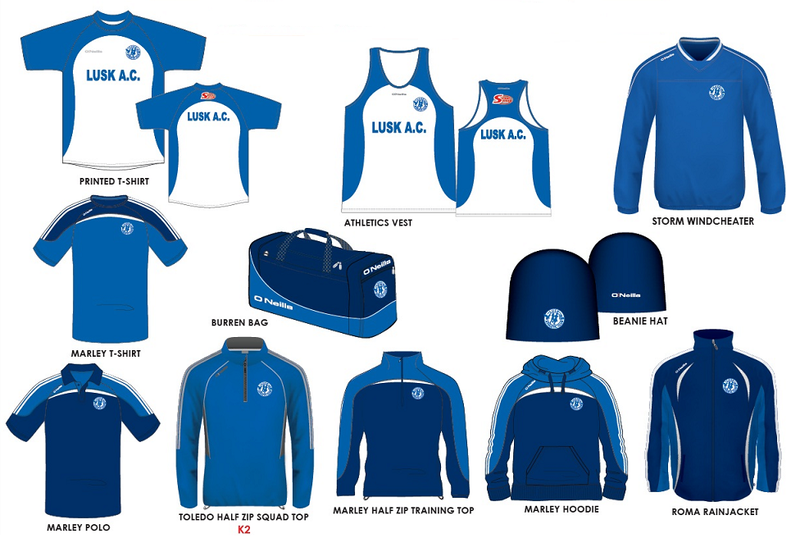 Anyone taking part in competition representing LuskAC must wear the Club colours. When you run with your club vest, supports know the great team you are part of. 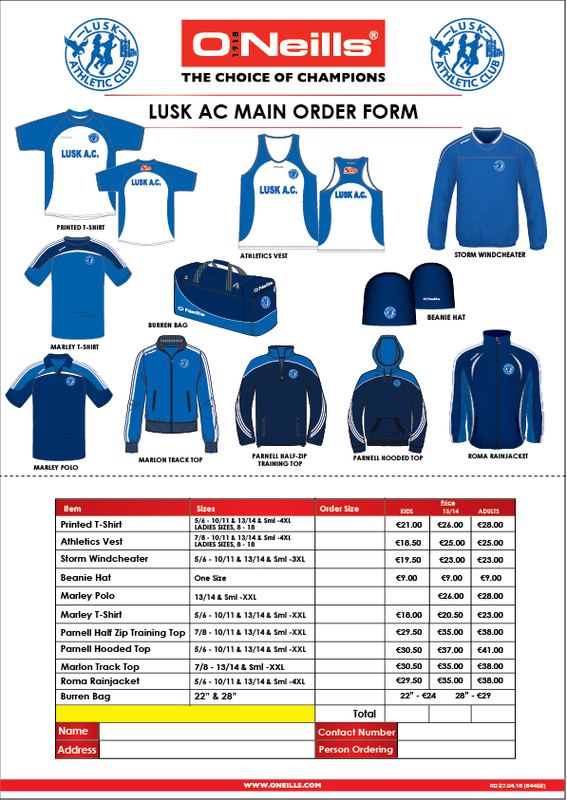 Club merchandise is available for sale on SHOP NIGHT at the school main door. There will be a range of merchandise on hand for you to try on and purchase on the night. Anything that is not in stock will be ordered for you and should be in place for SHOP NIGHT the following month. 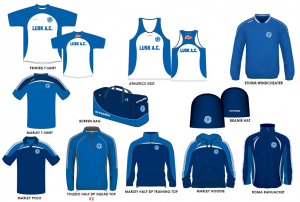 In between monthly SHOP NIGHTS merchandise can be ordered by contacting Ger McCartney at training or by emailingclubgearluskathletics@outlook.com . Note: Coaches or Leaders will no longer take orders for gear.